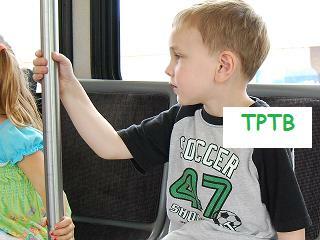 Our Transportation Theme is available for download from our website at The Preschool Toolbox Blog. It comes with a complete instructional manual for all the 30 literacy/math/science activities as well as all the pdf’s, pictures for visual aids, and power points. Need ideas? These are just a FEW of the ideas in the Transportation Unit. How did you get here today? Brainstorm and chart all the ways children get to school, childcare, etc. Other questions to ask and record: What transportation vehicles did they see on the way to school? How did each child arrive? What are other vehicles that we see around our community? What is the beginning sound for each transportation mode? Give the children magazines and have them cut or tear out pages with different vehicles on them. Make a group poster and label each one the children find. Extensions: classify the different vehicles into groups according to how they travel (Air, land, or water). Explain to the children that long ago lanterns were used by the conductor to tell a train’s engineer whether to stop or go. A lantern swinging back and forth was the signal to go. Dim the light or close the shades; then use a flashlight to demonstrate these signals. To play the game, have the group line up, side by side, at one end of the room. Have students chug form one side of your train yard to the other as you repeatedly give the signals to stop and go! OUTSIDE EXTENSIONS: Take your kids on a city bus ride. Our kids loved talking to the driver. He was very kind to US! Hope your kids enjoy this Unit! We’ve done this Unit in a home environment as well as a public classroom. All the kids enjoy it! Good luck! « Transportation Theme Activities for Preschool and Kindergarten!